If you think you know everything about the train system in Japan, well., I’ll advice you to think again. Think everything you see inside train stations is a coincidence? Well, let me burst your bubbles, it’s not. What about the melodies that are played when the train is coming? Even those have meanings behind them. Yes, the Japanese are smart, and they may be way more intelligent than we imagine. Their intelligence is clearly shown in their technological developments – in robotic technologies, in biomedical researches, educational system – in building sustainable education, in developing efficient studying techniques and industrial revolution – in mechanic manufacturing, producing creative commercials and so on. That is to say, how advanced the Japanese have become – they work by disciplines, principles, motivation, innovation and most importantly, efficiency. There are megacities, and there is Tokyo. 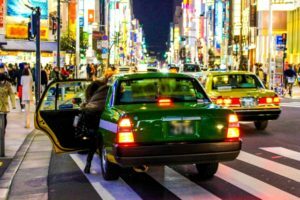 There are crowded slums in megacities, with bare bone infrastructures and impassable roads caused by heavy traffic congestion, but not Tokyo or any other megacities in Japan. In total contrast, in Tokyo, Osaka or many other big cities of Japan, people move in harmony and efficiency. And on the topic of efficiency, let us talk about Japan’s train system, which is recognized for its most astonishing size and quality of the networks. The train system in Japan is listed as the most efficient transportation system in the world, but not without a good reason. So here are the psychological facts behind Japan’s efficient train systems that you THOUGHT you knew. Ever wonder why you hear music played in the form of ringing bells inside Japan’s train stations? Believe it or not, not all stations have the same ringing bell with the same melodies. They are known as 発車 (hassha) tunes, and they are installed to notify commuters of a departing train without provoking anxiety. You might think: “Sure, everyone loves music. Isn’t that the same case for the Japanese? Doesn’t that explain the reason they include soft music inside train stations?” Yes, that might be the case. But there is another reason behind it, a psychological one. 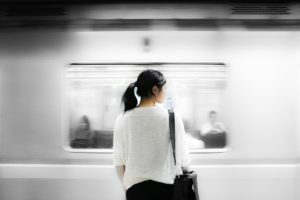 Commuting should not be a stressful process, even though it is. 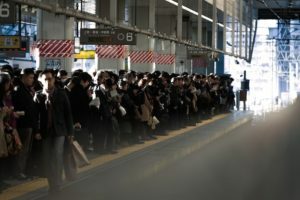 But with an exception to Japan, the country has brought the “efficiency” into the “e” in “stressful”, increasing capacity up to 200 percent during rush hours in one of the busiest cities in the world. 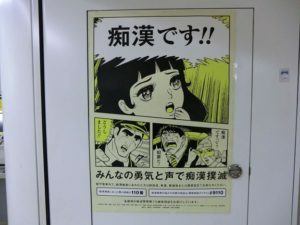 Realizing the ear-piercing sounds created by the alarm, the railways, and the horn, Japanese rail operators have introduced calming and happy jingles to accompany the passengers. 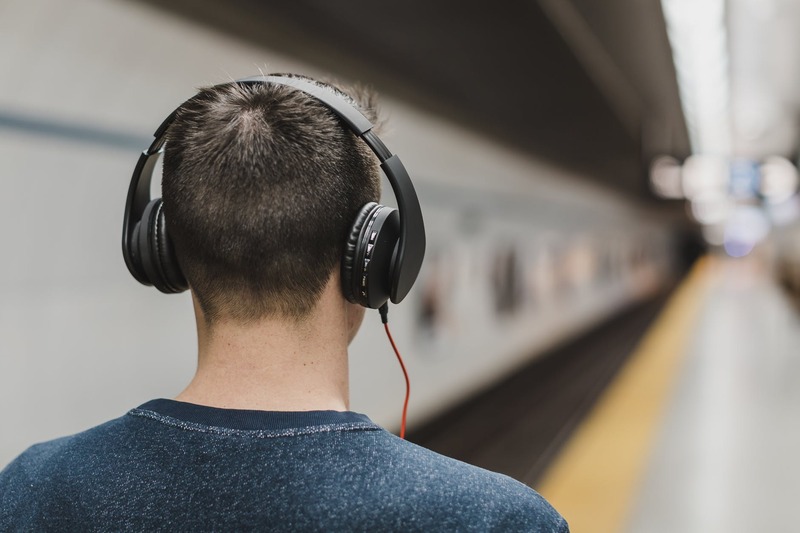 In addition to making transportation by train more enjoyable, the result of these soothing melodies is more surprising because it has proven to reduce the number of passengers suffering from unwanted injuries when rushing on platforms where these jingles are used. In other words, calm melodies are used to calm busy passengers down and prevent injuries from rushing through the platforms. If you pay attention, you will see these tunes are 7 seconds at length, due to a study proving that short melodies are the most efficient in reducing commuters anxiety and considering the time needed for a train to arrive and depart. Interestingly, these soft jingles are said to have calming effects and reduce mental stress commonly seen in train operators, because maintaining the accuracy in train schedule and operating train blocks are a complicated process for any workers in the transportation industry in Japan. 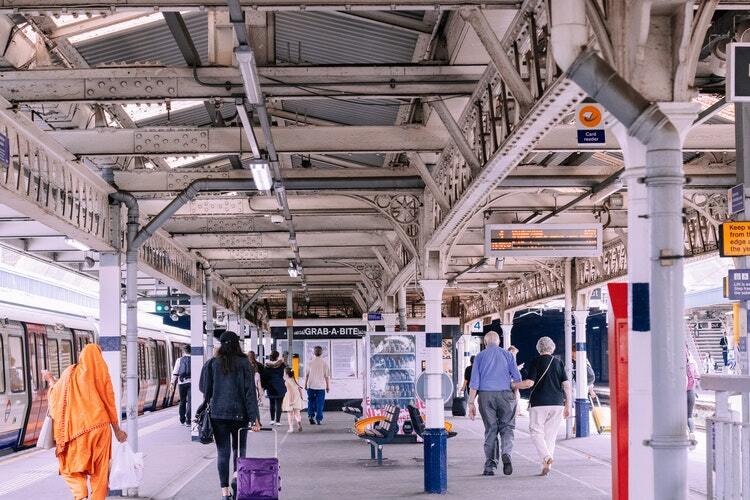 Especially in rush hour, when the number of citizens engaging in train commuting is at its peak, these soothing chimes can help increase the operators’ concentration and decrease the chances of committing errors. Tokyo’s Ebisu Station (恵比寿駅) is the most well-known for its departure tune – a shorter, more stylish version of the official soundtrack theme from “The Third Man”. So you think the light used in Japan’s trains is like any other light in your house or your office? Maybe. But there is a secret behind it. If you do not know yet, let me help shed some light on the matter. Here is some interesting little fact you probably do not know. Blue light helps increase your productivity while studying math and science-related subjects. White light boosts your brain’s activity for history and subjects that need memorizing while red light stimulates your creativity for painting and other artistic disciplines. Applying the same result for passengers commuting by trains, the Japanese have customized their blue light inside train compartments to increase rationality and reduce suicide attempts by people jumping in front of the train. 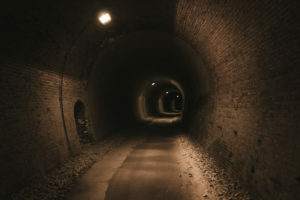 A 2013 study by the University of Tokyo shows a decrease of over 80 percent in the number of suicide attempts at the stations where blue lights were installed. Even standing outside at either end of Tokyo’s busiest station in rush hour – Shinjuku station ((新宿駅), it is not difficult to see a small square LED panel emitting a pleasant, deep-blue glow. However, do not be fooled by its size, because these simple blue panels have been installed as a suicide-prevention measure in Japan since 2009. Among the current social issues, suicide is seen as the most alarming in Japan, compared to other countries in the world. The excessive stress from work pressure and overworking, the high cost of living, the high expectation for promotion and success from the family may have pushed many Japanese up to their corner and prompt them to head for the railways. So, should your trains get delayed for any sudden occurrence, the disruption may not lie in technical issues from train operators, but might be in some human body lying on the railways. This situation has no longer become a rare exception, but rather a daily nuance to some Japanese although it comes as an absolute surprise to us foreigners in the first few months of living in Japan. Have you ever heard of a mantra “If you want to be safe, the first thing is to be aware of the danger”? The Japanese certainly know, and that’s the reason why the country is listed in “The Safest Countries” list – because Japan is vigilant of the possible dangers and tries to keep itself anticipated and ahead of these dangers. We all know teenagers, the wild child, their rebellious period along with the public nuisance they might be held accountable for. 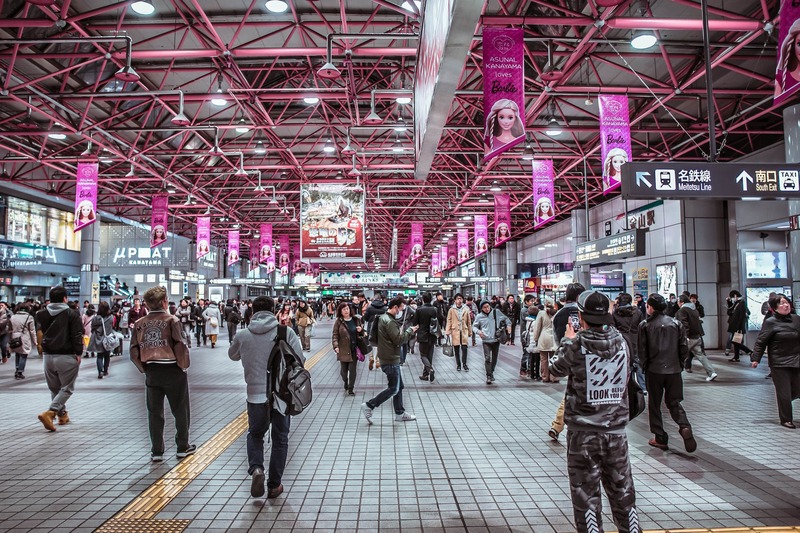 While there are few reasons for the Japanese to fear their young citizen loitering or vandalizing public properties, it is never a loss to anticipate the danger and keep these concerns at the forefront. Especially in stations, a device with ultrasonic deterrents emitting a high-frequency tone, only audible to people under 25 years of age. Sounds frightening? Not so much. It is just a small and unobtrusive device. When set at around 15 kilohertz, while the sound is undetectable to middle-aged or older people, young people, in contrast, will react to it on a subconscious level because it is remarked as an uncomfortable sound and they will hurry to get away from it. 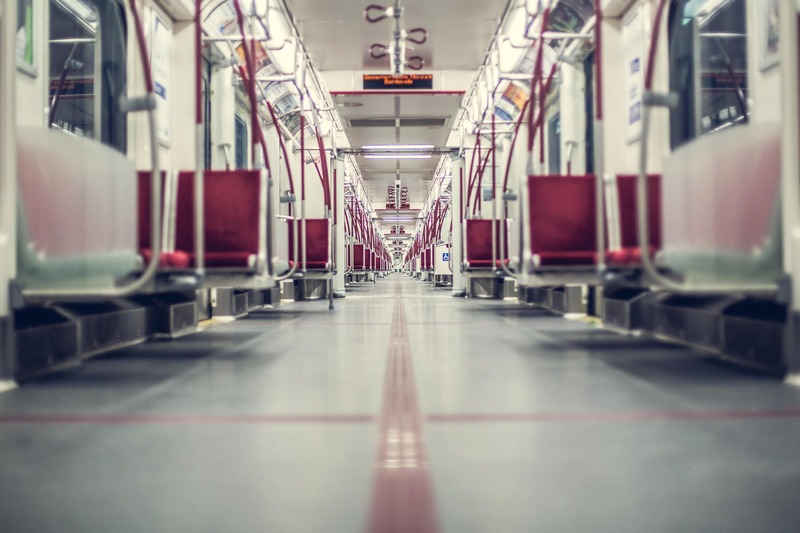 This device may sound hard to believe, but they are widely used in public transportation across Europe and the United States with an aim to prevent youth delinquency. Should you stand outside one of the main stations in Tokyo, there is no difficulty in testing the effectiveness of this device in action. Middle-aged salarymen and aged obaachan (おばあちゃん) passed the sound deterrent without any reaction or changes in pace. 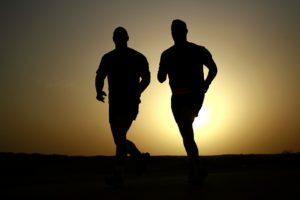 However, for students and teenagers, the responses were evident – their walking pace was faster, accompanied by a look for confusion or discomfort. None appeared to detect the source of the deterrents installed on the ceiling panels above. 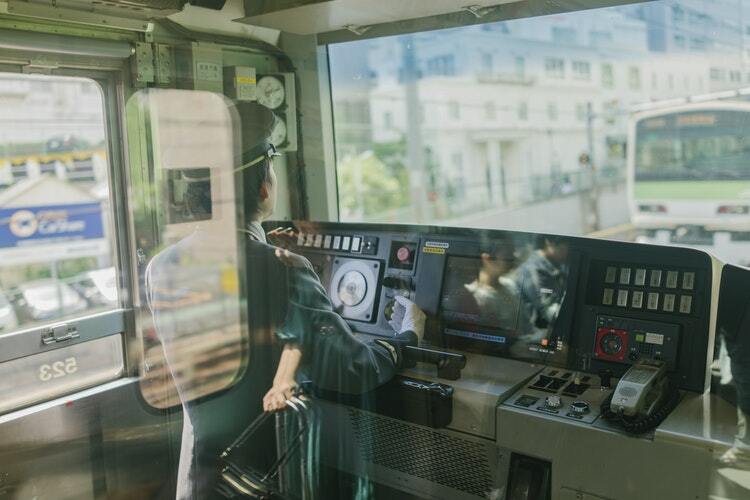 If you pay close attention to the train conductors in Japan as I do, you will notice that they will always carry a particular stick. Although it is not the stick that is “special”, it is the magic that it does when using it. It is called the “point and call” method, also known as 指差喚呼 (shisa kanko). The method is as simple as its name – by physically pointing at the direction or object and verbalizing the intended action, a more significant portion of the approached people’s brain is engaged, and they are prompted to follow with a higher percentage of accuracy. In other words, the method ensures success in encouraging consciousness, raising awareness among the commuters and improving the workers’ error rate by associating a necessary action with physical movements and vocalizations. The method is also widely applied in aviation workplace safety feature, common in industry in Japan and railways in Taiwan because of the effect it has. Have you ever wondered why there are so many signboards, not only on the walls and staircases but also on the platform floors? But in total contrast to signs that warn you not to do this, not to that, what you must not do, what you must do, what do signboards in Japan’s station mean? They always ask for cooperation from the commuters and encourage them to follow what is best for their safety. That’s how the Japanese use the power of “encouraging” to influence the behavior of their commuters. 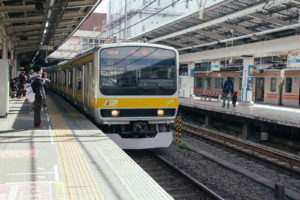 Examples can be seen on platforms at large stations such as Shinjuku station (新宿駅), where riders are encouraged to queue on both sides of station escalators as a means of increasing capacity in the station; or in Ikebukuro station (池袋駅) where the passengers are encouraged to queue in two lines on both sides of the coming trains, in order to ensure their safety and make way for other passengers coming out of the train. When it comes to the art of manipulation, what sets stations in Japan from their counterparts is the ingenuity behind their ways of executing their unwritten laws and the “imperceptible” manner in which they are implemented. The act is no longer a method, but an art, and it clearly reflects in the orderliness of the Japanese society. 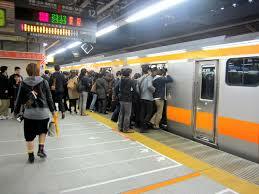 The Japanese commuters know and are more likely not to break the “social norm” of queuing, and if we as foreigners, were to break it, we will receive their look of confusion and even disdain. Although we can not deny the Japanese’s ingenuity in both advanced technology and daily social manner, it is essential that we understand the country’s unspoken rules and follow them carefully to keep ourselves out of trouble and to respect the country’s culture and traditions. 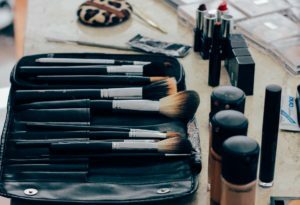 Starting from noticing these psychological facts, we are one step closer to understanding the Japanese’s practical ethics, customer services, as well as their personality.